Chocolate is not good for dogs, thunderstorms aren’t good for air travel, bad hair isn’t good for a rock star. Heat is not good for bus tires. And therein lies the problem. On a large trucks and trailers, tires are mostly out in the open – spinning on hot days with lots of air circulation around them from all sides. This dissipates the temperature build up, and generally prevents the heat from becoming an issue. Buses are totally different vehicles. The wheels and tires are enclosed in compartments surrounded by metal and this creates substantial heat buildup. This is especially true with the drive tires. And – that heat is not good for bus tires! To help counteract, tire manufactures incorporate some design and material features, to enhance their heat dissipation from the treads, and prolong tire life. Additionally, sidewall construction is made more substantial to resist scuffing and damage from the many curbs the bus has to pull close to. Many people are uncertain about reincarnation for their lives, but one thing is for sure, bus tires are often retreaded! 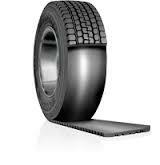 The new layer of tread rubber is fused to a tire casing that is initially designed for this process. The retreated tire is virtually as good as a brand new one. A bus tire can usually be retreaded two of even three times during its lifespan. The retread savings is increased if the original tire was a high quality one. Eventually the casing wears to the point where retreading is no longer possible, but before that happens, thousands of additional tire-life miles have been had. Retreads should be done when tread is worn to no less than 4/32nds of an inch. Anymore wear than that will compromise the casing, and the base of the original rubber that makes a good adhesion with the new retread rubber. There is excellent technology now to remove a portion of the old tread – called buffing – fix any section or debris holes, and carefully inspect the core aspects of the tire. Once it is approved and ready to go, the new tread is aligned with a special machine called a tread builder. Tread curing or vulcanizing takes place next – a bonding element is applied followed by the application of high temperature and pressure. After a final inspection to insure the successful results and evaluate according to the high safety standards, the cosmetics of the tire are brought to a like new level. By law, no buses can use retreads on the front axle, so the usage by tour bus companies is limited to the rear axle only. Coach Tours does NOT use retreads on ANY axle primarily because these reconditioned tires are just not as reliable as new tires, and also because in spite of the advanced technology in use today, they still fail more often that non-retreads. That failure while driving can often create a dangerous situation. Aside from the safety issues, from a business perspective – to change a bus tire on the road can be extremely expensive, and that potentially will quickly offset any financial benefits of retreading over new tire purchases. Additionally, if the retread comes off while driving, the tire will often cause additional damage to the brakes and suspension, enough to require a bus tow at a cost of more than $1,000, not to mention the relocation of all the passengers and the inconvenience to their travel experience. So while other charter bus companies might have a different safety, business, and user experience view, you can know without a doubt that we at Coach Tours are always driven to have the highest level of standards for our valued customers.